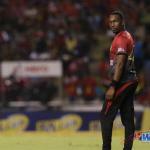 One of the new darlings of Trinidad and Tobago cricket, left-arm spinner Khary Pierre, is hoping to leave an indelible mark on West Indies cricket, a mark far greater than his exploits in the Caribbean Premier League (CPL) competition to date. 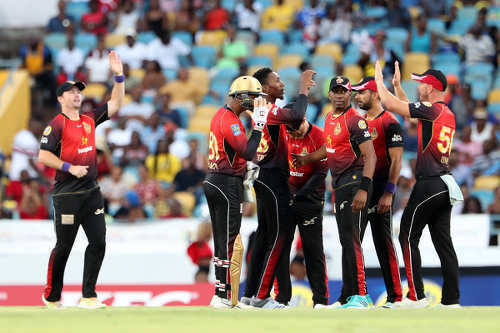 In the last two Hero CPL seasons, 27 year-old Pierre shot to prominence with the Trinbago Knight Riders (TKR) franchise, helping them secure successive CPL titles. 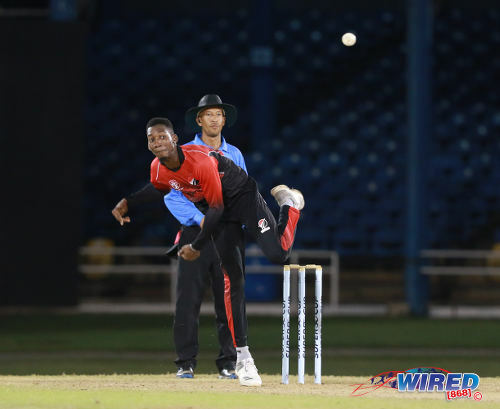 Photo: Trinidad and Tobago spinner Khary Pierre bowls during Super50 regional action against the West Indies ‘B’ team on 11 October 2018. Next month, on the back of a terrific 2018 CPL season which saw him grabbing 11 wickets—and earned him Man of the Match for his 3/29 in the grand finale—Pierre will be looking to don the maroon cap when the West Indies face India in a T20 International series on the subcontinent. But, for the ever-smiling spinner, the journey to getting that first West Indies call up was full of bumps and rough terrain. Pierre, one of six siblings, grew up in Chenette Alley in East Port of Spain and later moved to Gloria Street, Morvant to spend the remainder of his adolescent years. Now, he resides in Arima. But it was in the alleys and side streets of the Morvant/Laventille area where a young Pierre found his passion for the game. And if he has it his way, his next check point thereafter will be the 2019 Cricket World Cup in England and Wales. The agility we see from him nowadays at backward point was born out of intense battles in the form of mini windball games, which he played alongside his lifelong friend, Akeal Hosein—with whom he attended the Success Laventille Secondary School. 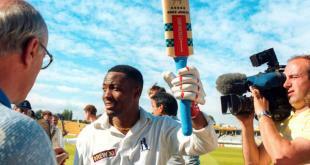 There, both young men started emulating the elegant shots they saw from the “Prince of Port of Spain,” Brian Charles Lara. 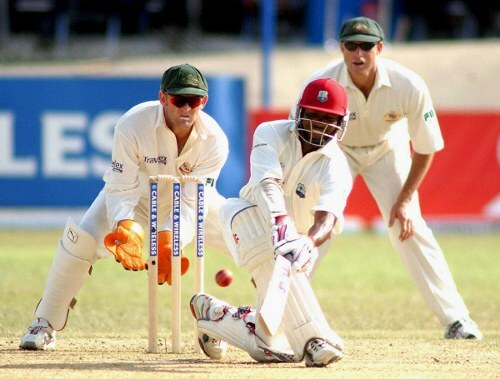 Photo: West Indies cricket star Brian Lara sweeps for four runs against Australia at the Queen’s Park Oval in Port of Spain, Trinidad on 20 April, 2003. Behind stumps are Australian wicket keeper Adam Gilchrist (left) and Mathew Hayden. Ironically, both Hosein and Pierre are now plying their trades as slow left arm orthodox bowlers. Hosein has represented Trinidad and Tobago at the senior level and featured for the West Indies at the 2012 Under-19 World Cup, while he last turned out for the Barbados Tridents in the CPL. Pierre did not represent his country or the regional side at youth level. But that did not break his will. With one of his uncles ensuring that he always got to his training sessions on time, he kept aiming to pitch the ball in the rough. Looking up to senior West Indies players like Dwayne Bravo, Kieron Pollard and Sunil Narine at the Queen’s Park Cricket Club (QPCC), an organisation he thanks greatly for cementing the foundation for his career, Pierre put in the long hours in the nets, knowing that he’d reap the rewards in the middle one day. Some call it tough skin. It’s the kind of tough skin you grow when you haven’t seen your mother for 21 years; the maternal void was filled by his grandmother who he lived with for most of his life. As Pierre simply put it, his mother moved overseas to try to provide a better life for her family. And to this day, she is his biggest motivation. Photo: TKR bowler Khary Pierre takes a catch during CPL action against the Barbados Tridents on 7 September 2018. 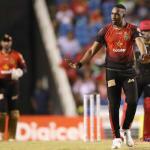 Roughly two months after his 25th birthday, Pierre made his debut for the Trinidad and Tobago Red Force outfit in the Professional Cricket League Four Day tournament in November 2016. He has taken 21 wickets in ten appearances so far for team Red Force in the all whites, but it appears that the southpaw comes to life in the shorter formats of the game. He has taken the opportunities afforded to him with both hands; much like any ball which comes his way while he’s fielding; just ask Guyana’s hard-hitting left-handed batsman Sherfane Rutherford. 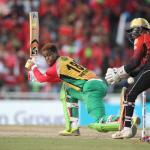 After going for rough treatment and conceding 21 runs in his first two overs against Guyana Amazon Warriors (GAW) in this year’s CPL final, Pierre was brought back into the attack after the drinks break and promptly removed a set Luke Ronchi—who eventually top scored with 44—and the dangerous Rutherford. The Guyanese youngster, who will also form part of the regional T20 team which leaves for India in a few weeks’ time, smoked a fullish ball back towards Pierre. Most bowlers would’ve ducked, much like Dwayne Bravo did when Andre Russell was going berserk at the Queen’s Park Oval during a devastating century. But Pierre faces challenges head on. 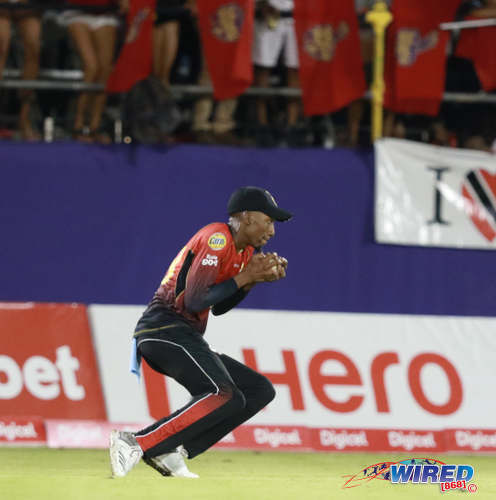 He just about got his face out of the way and opened up his palms to take one of the best catches of CPL 2018. Rutherford was in awe, and the duo will probably have a good laugh about it while in India. 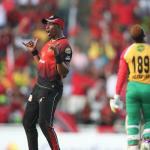 Bravo was the man taking the plaudits with a stunning one-handed catch yesterday, as he sent Trevon Griffith on his way when Red Force met the Guyana Jaguars at the Brian Lara Cricket Academy in Windies Super50 action. However, neither Bravo nor Pierre could stop the Jaguars from sauntering to a 75-run win. Fifties by Griffith and Raymon Reifer, as well as a hat-trick by seamer Clinton Prestano, stopped the hosts dead in their tracks. In his last two Super50 outings, Pierre returned figures of 1/69 and 1/66. 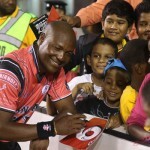 However, with the advice of his family members, and Success Laventille and QPCC coaches still ringing in his ears, once afforded an opportunity in the T20 series against India, the wily left arm spinner is hoping to give the West Indies selectors a headache ahead of next year’s Cricket World Cup. 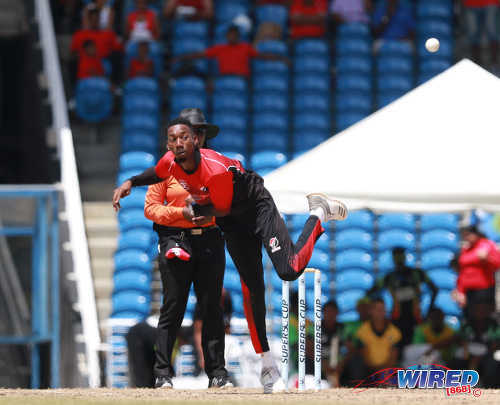 Photo: Trinidad and Tobago spinner Khary Pierre sends down a delivery during Super50 regional action against Guyana on 13 October 2018. This is such a heart warming post. It may seem the most unlikely place to produce a cricketer but in my adolescent years, street cricket was the norm and accuracy was important because players had to avoid breaking window panes and neighbours holding their balls hostage. For Pierre to have traversed Chenette Alley (Behind de Bridge), Morvant and Arima on his way to cricket’s big stage is instructive. Sports in general needs a structured approach to unearth and nurture talent. Pierre was able to fight his way to the sunshine. Think of the pool of talent which could surface if only there was systems approach to talent development. Broken systems cannot be fixed, they have to be re-designed. Pierre’s story is another message to the Ministry of Sport and the Ministry of Education and the Ministry of Youth to lead the re-design process.